Geometric Retro Pendant Light fitting. Best for over tables or bars. 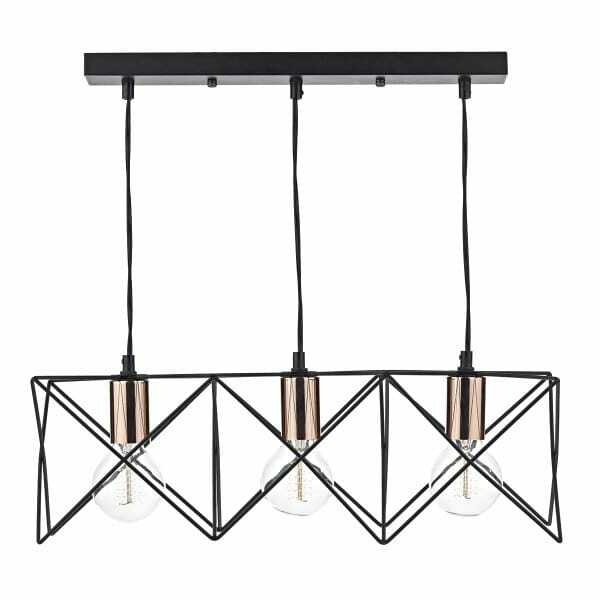 A contemporary design 3 light ceiling bar pendant with copper lamp holders and a matt black geometric frame surround. This light would be ideal for lighting over kitchen islands or dining room tables, it can be height adjusted at the point of installation and dimmable if fitted with a suitable dimmer switch.